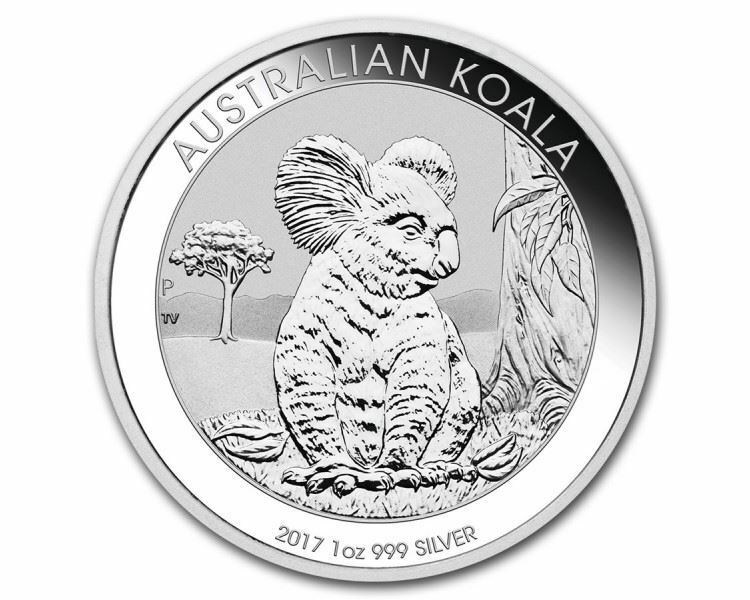 Brisbane Bullion presents the 1oz Koala Silver Coin (2017) by the Perth Mint. The latest edition of the Perth Mint’s popular Koala series, this 1oz Koala Silver Coin is a 999 fine silver, Australian legal tender coin with a face value of AUD $1.00. The coin showcases one of Australia’s favourite animals and is well recognised internationally. Each year the design of the coin’s reverse changes, but always portrays delightful and original artistry of the Australian koala in an outback setting. The obverse of the coin features the Ian Rank-Broadley effigy of Her Majesty Queen Elizabeth II. Buy the 1oz Koala Silver Coin today from your local gold and silver bullion dealer – Brisbane Bullion!